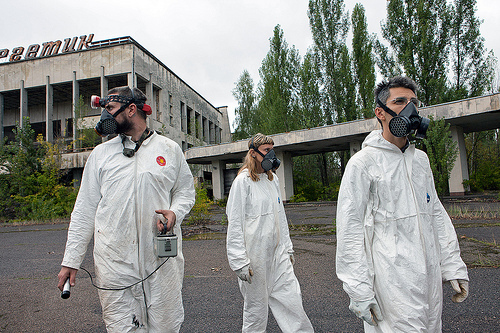 “In the Summer 2010 a group of six artists who barely knew each other embarked on a journey to Chernobyl, to develop a secretive Plan C. The story is not clear at all, and it will probably never be. They came from different parts of Europe and the US, and they had an appointment. Nobody knew about their final destination, nobody knew about Plan C. They told friends vague stories about “entering The Zone” and “throwing metal nuts”. They had one thing in common: an obsession for Tarkovsky’s 1979 movie Stalker. What happened after is still a secret.